By clicking and purchasing from the affiliate links in this post (and in this site), I will earn a small commission at no extra cost to you. Mahalo for supporting Hawaii companies and letting me explore Hawaii for you! Imagine a day full of luscious green mountains, dark blue beaches, remarkable waterfalls and romantic bridges. The road to Hana is all that and much more and one of my favorite drives in all of Hawaii. 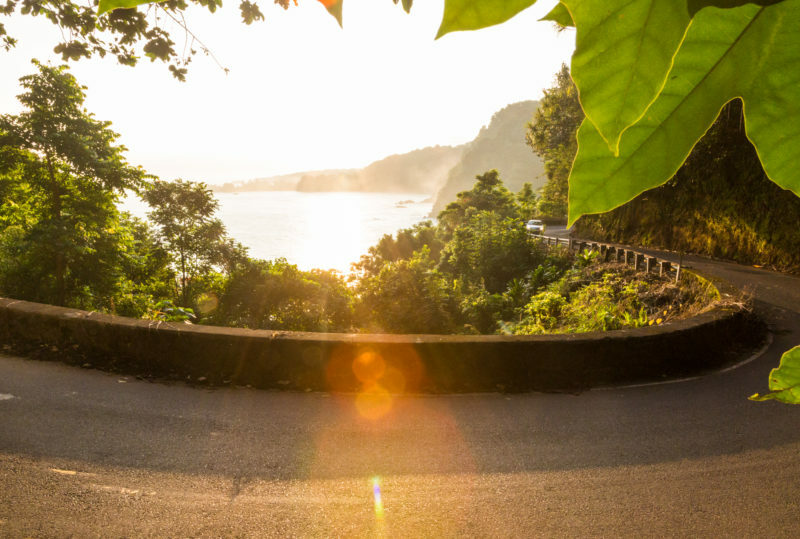 This is not a drive to rush through, but rather a drive full of relaxation as you stop to take a look at all the different scenic spots that are sure to draw your interest while you are on your way to Hana City. Driving to Hana is a must on my list when in Maui because there are so many things to do and see in just one short day. There are panoramic views of the gorgeous mountains just a few steps up a hill, beautiful waterfalls falling right next to you under the bridges, black sand beaches with gorgeous waves, and the chance to just forget about the busy outside world and truly log off (in other words, weak cell reception!). A few of my most favorite stops were Hale Piilani in Kanahu Gardens, Waianapanapa State Park, Hamoa Beach and the Pools of Oheo. While it is possible to go to Hana and back in one day and have a glorious time, I’d absolutely recommend staying at least a night or two so you can see and visit all of the recommended stops. This is especially true if you’re into hiking, swimming at beaches, splashing in refreshing river water and 100% relaxation. With 620 curves, 59 bridges, numerous single lane roads, natural waterfalls and the incredible views, there is plenty to keep you busy. There are also a few fruit stands, snack stores and souvenir shops along the way, but I’d suggest bringing some snacks, drinks and sandwiches along to avoid hunger and potential long lines. For those of you who get car sick, you may want to bring some medication and do your research to find out if the Hana road will test your limits. Local Tip: The last time I drove to Hana, I went with a friend who knew she’d get car sick. According to her, the going was fine since we made numerous stops at sightseeing spots, beaches, trails, waterfalls and stores. But our return trip was nonstop in the evening so she just slept the whole way when the turns started to affect her. Road To Hana Guide: Check out Yana’s thorough guide and recommended sights to see on your own drive to Hana. 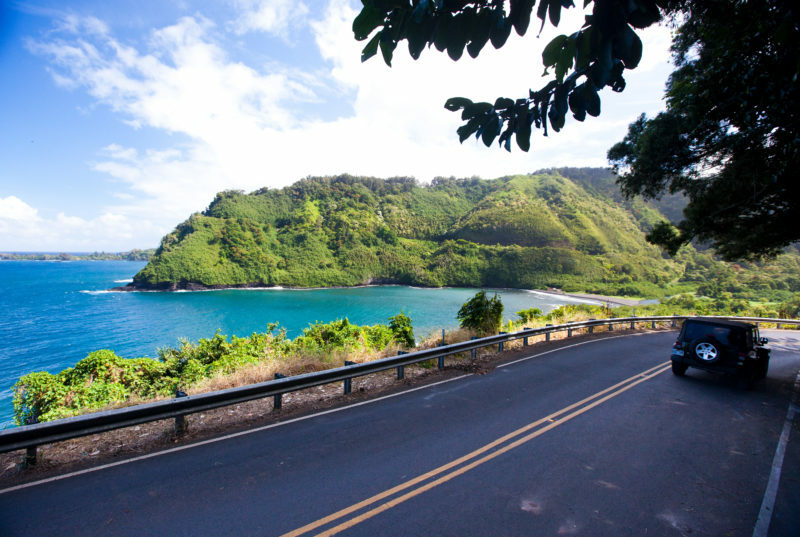 The drive to Hana is beautiful and filled with plenty of stops that will steal your breath away. This Private Hana Adventure is perfect for families as they will organize your Hana trip so that it will fit your group’s needs. 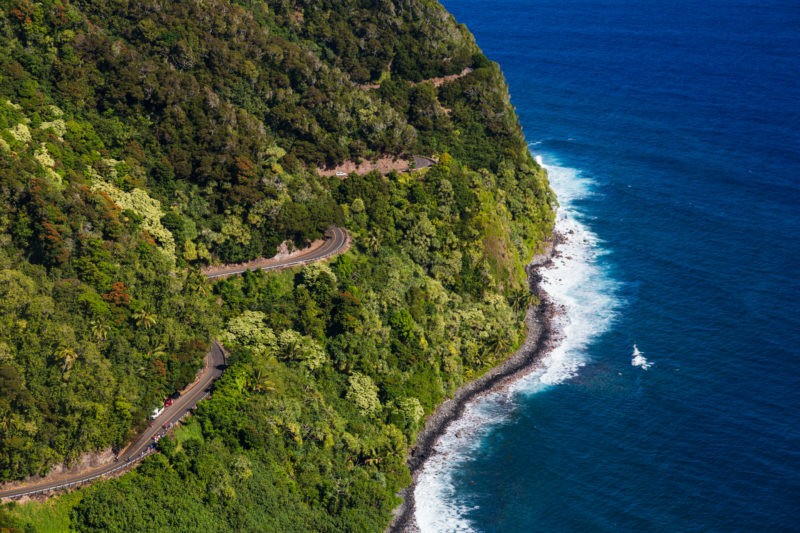 And if you want to drive the whole Hana highway and even see the Seven Sacred Pools of Oheo, check out this Road to Hana Tour that will allow you to relax and enjoy the ride to black sand beaches, the pools and Hana’s abundant waterfalls.